Online, where content is king, it is somewhat surprising to discover that many websites are replete with spelling and English grammar errors. This situation may be due to the nature of the Internet as a publishing medium, where texts are published as soon as they are written, with little or no proofreading. However, this is no excuse - English errors on websites are bad for business, both in terms of the customer experience of the website, and the relevancy ranking of the page on Google. Let's consider this further, and look at some simple tips for checking your web content for errors. Spelling and grammar errors on a website look unprofessional. They show that small details have been overlooked, and a customer may have less confidence in the product or service being offered. 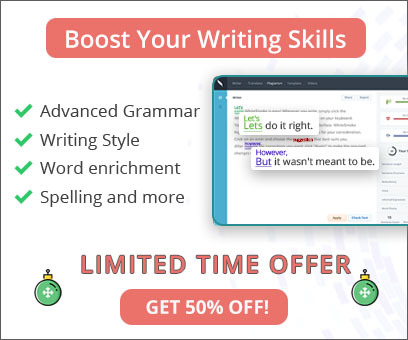 Some of the most basic mistakes in written English appear time and time again on the web, due to a lack of proofreading. 1. Rule: I before e except after c - for instance, "receive". 2. Do you need to say "it's" or "its"; "your" or "you're"; "their" or "there"? Think about the context of your words. 3. Hyphenated words: should you use "email" or "e-mail"; "post-modern" or "postmodern"? Check which form is considered correct, and also check what is mostly commonly used amongst your target audience. 4. Punctuation: is your punctuation grammatically correct? Does it read naturally? 5. Consider the size and intelligibility of your sentences. 6. Capitalization is not important for SEO, as search engines are not case-sensitive. However, you need to pay attention to capitalization standards in the field of business in which the website is operating. Beyond spelling and grammar, content can be further optimized for the customer and for search engine relevancy by creative use of synonyms. Synonyms give SEO managers the opportunity to use more keywords in their content, improving search engine relevancy over a wider range of searches. Appropriate use of synonyms also creates more interesting content, enticing visitors to stay longer and return often. Remember, these tips will not only improve the website experience of existing visitors: SEO which is done according to those tips will achieve better results in Google and other search engines, creating greater exposure for the website and more success for the business.